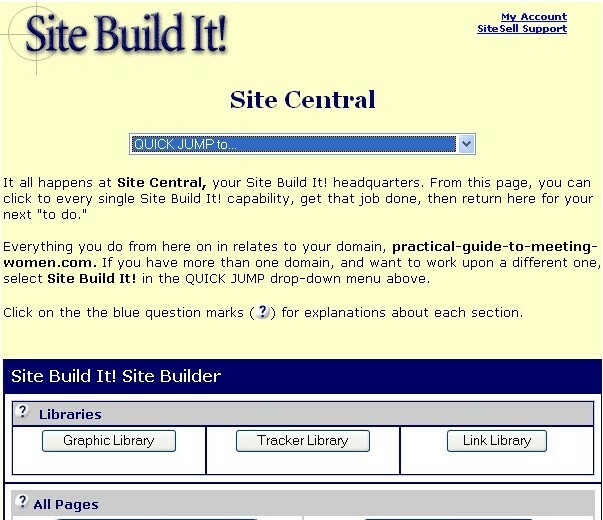 Building the Website and accessing other Solo Build It tools is done by logging into Site Central. It is the mainframe from which you will work to develop and build a working website. Let Solo Build It guide you through the way that works best on the net... Focus on what you know and let Solo Build It handle all of the technical aspects of the internet.